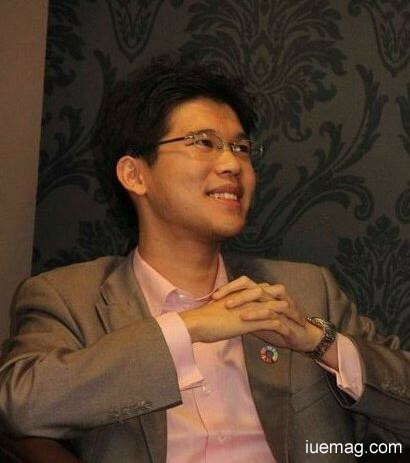 Michael Teoh - Youth Icon From Malaysia. The founder of Thriving Talents from Malaysia. The Author of Potential Matrix and a speaker with panache who is true inspiration for youth across malaysia and also recognized as a globe trotter having travelled more than 30 countries during his lifetime already. Read ON! Michael Teoh has been on one of the breath-taking travel since January, 2011. During this out of the world trip he travelled to over 20 countries, visiting some of the most impoverished communities in Peru & Colombia, to covering highly sophisticated cities like that of Shanghai & Zurich. He participated in Research projects in Zimbabwe on Lions, went trekking along the Canadian Rockies to promote Climate Change Awareness, met tribal communities in Masai Mara, Kenya, and most recently, addressed global leaders twice during the United Nations Week in New York and in the UN Complex in Nairobi about 'Youth Volunteerism and Social Entrepreneurship'. All these opportunities were presented to him after he won the Global Entrepreneurship competition - YOUR BIG YEAR in the UK, in 2011. Michael was short-listed amongst 45,000 people from 168 countries last November, to compete in the world's most popular Entrepreneurship competition - Your Big Year, he was the sole finalist from Asia besides being the youngest participant. Age did not stop him from marveling in his efforts, and it got proven through his 2011 world expedition, after he was elected the Global Ambassador for Smaller Earth, to promote social entrepreneurship & volunteerism throughout the world. He was a part of project to build wells for 108 families in the deserted mountains of Arequipa, Peru, while in some other part of the world he rallied 800 volunteers to build 500 new homes for the extreme poor in Colombia. He also shared his valuable experiences with global entrepreneurs from 120 countries in Shanghai, and advocated for the declining numbers of Lions and urged communities and governments to take steps for preventing the same in Zimbabwe & Kenya through research/ rebreeding projects. Michael's efforts are testaments that social enterprises play a great role in encouraging a more inclusive and participative eco-system for youths to take part in the development of their communities. In his case, he was literally, responsible for impacting more than 200,000 lives across 20 countries in 2011 alone through his global travel. Michael believes that social enterprises need to be sustainable. To achieve the same, he developed an online following towards his journals, speeches & messages, and uses social media to propagate his message throughout the world, which he continuously did during his world expedition. On the home front, Michael is a Youth Advocate in Malaysia, consulting government agencies, companies and NGOs on engaging & developing the youth segment. In 2010, He served as the Head for Outreach Programs at Harapan, a youth foundation established to support, facilitate and help youths grow. It inspires them to grow their initiatives to create positive impact to the community. He was the Co-Founder of Youth Entrepreneurs Malaysia(YEM), a social start-up enterprise involved in the business of building communities and promoting social enterprise ventures among youths. To date, he has connected with more than 10,000 youths across 100s of communities and entrepreneurship projects in universities and colleges, since 2009 while pursuing YEM. He was also awarded the Global Entrepreneurship Week (GEW) - Most Enterprising Youth of the Year in 2010 by Malaysian Deputy Prime Minister. He has been invited to speak at major global conferences on the subject of Youth Development both locally and internationally. To name just a few, Michael was the keynote speaker twice for the world's largest youth summit, called One Young World which saw him addressing a crowd of 1,500 youths from 170 countries both in London (2010) and in Zurich (2011). He was also given the opportunity to speak to young African leaders in the World Youth Parliament in Kenya (Oct., 2011), while he addressed the Latin American students at the World Youth Volunteering Summit in Colombia in Nov. 2011. We are really glad to feature this young tycoon in our Inspiration Unlimited eMagazine, with the hope to inspire all the minds reading this now. The world is undoubtedly in need of such leaders. We wish him all the success, whilst we urge you to follow your dream and create your story and give us a chance to acknowledge you. Meanwhile feel free to share this story on your walls with your fellow friends to inspire them and ignite the leader in them.